Our very own Mr. Cooper, famous even across the sea. This week’s post comes to us from “across the pond” and builds on the theme of “Using the outdoors for teaching across the curriculum”. The article has kindly been provided by Stephen J Cooper RN who also has his own blog, (https://wtcoopers.wordpress.com/), which includes photos of his recent trip to the South West to experience the Natural Connections project and Forest Schools. 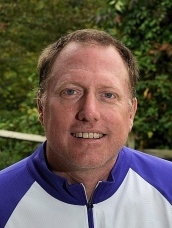 Steve is the Outdoor Education Coordinator, Physical Education, & School Nurse at North Hills Campus at Winchester Thurston, Pennsylvania.